GenSpera, Inc. (OTCQB: GNSZ), a leader in developing prodrug therapeutics for the treatment of cancer, releases the APPLE 2014 presentation. Devalingam Mahalingam, MD, PhD, Principal Investigator of the G-202 Phase II trial in hepatocellular carcinoma (HCC) patients, presented the HCC clinical trial update for G-202 at the 5th Asia-Pacific Primary Liver Cancer Expert Meeting Saturday, July 12th, in Taipei, Taiwan. Dr. Mahalingam, an oncologist at the Cancer Therapy & Research Center at the University of Texas Health Science Center at San Antonio, presented interim results from the Phase Ib and ongoing Phase II study in hepatocellular carcinoma (HCC) patients who had previously progressed on, or who were intolerant of, sorafenib. Historically, this patient population has a median time to progression of only two months when they enter subsequent clinical trials. Impressively, 80% of patients treated with G-202 had stable disease (no tumor growth) at two months and 50% of patients exhibited stable disease at 4 months on study. “The efficacy and safety analyses on patients enrolled to date on this study continue to demonstrate that G-202 holds promise for patients with advanced HCC, with half the patients showing disease stability at 4 months and the majority of patients tolerating G-202 with minimal toxicities,” stated Dr. Mahalingam. Investors can view Dr. Mahalingam’s presentation and an updated corporate presentation at the Company website: http://www.genspera.com. 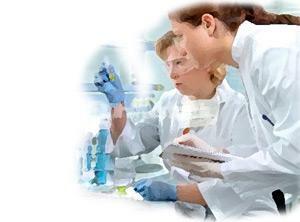 G-202 Phase II clinical trials are underway in hepatocellular carcinoma, glioblastoma and prostate cancer patients. The Asia-Pacific Primary Liver Cancer Expert Association (APPLE) Congress was held July 11 – 13, 2014, at the Grand Hotel Taipei in Taipei, Taiwan. APPLE 2014 is hosted by the Chinese Oncology Society of Taiwan and co-hosted by the Taiwan Association for the Study of the Liver, the Gastroenterological Society of Taiwan, and the Taiwan Liver Cancer Association. APPLE is an international platform for HCC that brings together scientific experts from across the world to discuss curative treatment, systemic and anti-viral therapies, HCC pathology and social perspectives as well. http://www.2014applecongress.org.